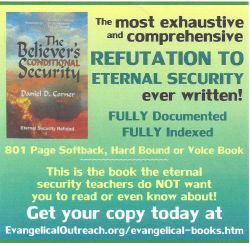 Once saved always saved is commonly taught in Bible believing churches. However, that doesn’t make it correct! 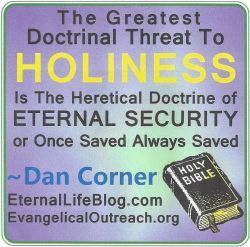 The truth is once saved always saved (or eternal security) is NOT true and has no connection with grace or God’s keeping power. Therefore don’t be deceived by the slick talking once saved always saved teachers!